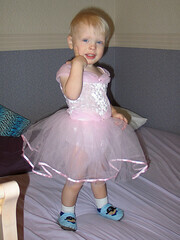 Apparently Kiyan took Pari's ballerina outfit up to Marz so she could put it on him. Now we have a pic for the photo album to show his first girlfriend. Other pics are below the cut. 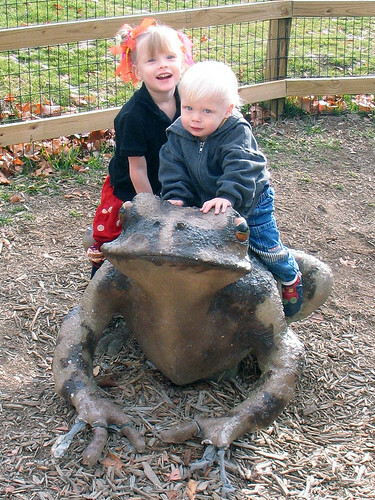 Pari and Kiyan at the KC zoo. 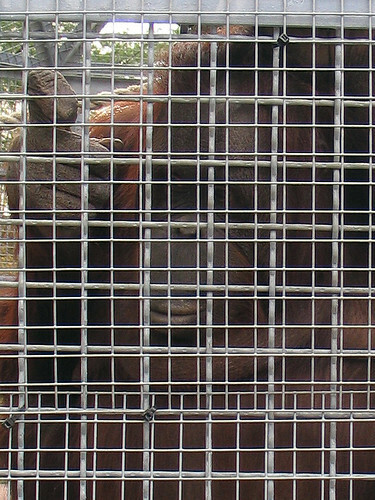 an orangutan who watched us eat. Wish we could have given her some of the yogurt, but no feeding the animals. Except the kids you brought with you. I mean feeding the kids themselves, not feeding the kids to the animals. You know that kid is going to be a costumer, right? Now we have a pic for the photo album to show his first girlfriend. Or, you know, first boyfriend. Only if we like him. I like the frog pic, but really the tutu isn't that inappropriate for Kiyan. After all, L may be right and the first boyfriend will get a big chuckle out of that photo. That actually fits him quite well. *grin* needs pink shoes though.